MGX Minerals has been notified by joint-venture partner A.I.S. Resources (“AIS”) that the Salta Department Mines Administration has issued drill permits for the Salinitas lithium project (“Salinitas”). A.I.S. is nearing completion and interpretation of all TDEM data and has plans to conduct trenching as well as an auger drilling program to test the shallow, near surface brine targets that may potentially contain anomalous concentrations of lithium and other elements. Exploration is being overseen by newly appointed A.I.S. Resource’s President and CEO Phillip Thomas. Mr. Thomas specializes in development of lithium brine projects and previously acted as CEO of Admiralty Resources, where he was responsible for putting the Rincon Salar in Argentina into production. 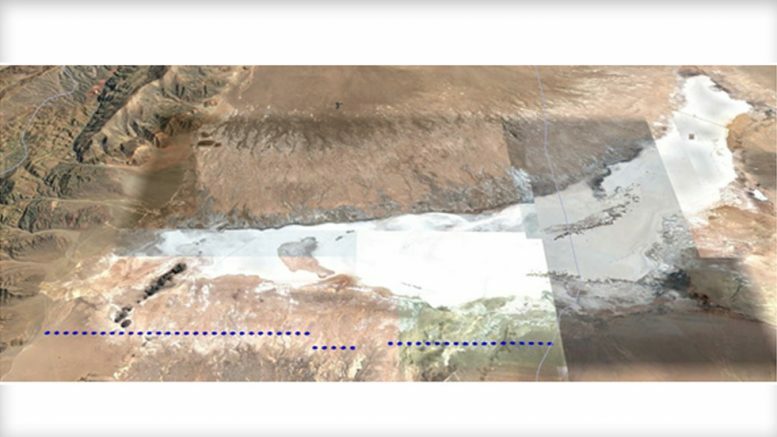 The Salinitas tenements are located in the lithium triangle at the Salar de Salinas Grandes, in the Province of Salta. The 4,308 hectare contiguous land package resides in the Puna region of northwest Argentina near the border of Chile, an area renowned for its lithium- and potassium-rich brine resources. MGX has partnered with A.I.S. Resources on the Project and is currently earning an undivided 80% interest by incurring total exploration expenditures of at least US$1.2 million by May 31, 2020 and by making payments totaling US$3.2 million which are primarily due at that time. Reunión de Subsecretaría de Minería de Catamarca con profesionales del Departamento de Estado de EE.UU. Be the first to comment on "MGX Minerals – Drilling Permit Issued for Salinitas Concessions"